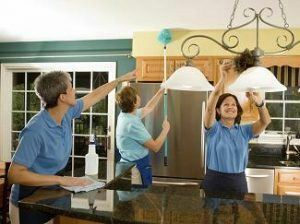 Domestic cleaning is an endless and tiresome process that requires lots of time and physical effort. It is no one’s concept of having a good time since there is always something at home that needs to be cleaned. Home is where you should feel safe and relaxed, that’s why you never skip the chores. Fortunately, you can combine healthy clean home with having fun. Let Top London Domestic Cleaners do the task for you, while you enjoy your free time. We are the experts that give you peace of mind in regards to doing chores. We provide reliable domestic cleaning in West End and all other London areas. We will provide you with the most beneficial domestic cleaning in West End. For that reason, we won’t rest till you are perfectly satisfied with the result. That’s how we assure you that choosing us is your best decision. Give us a call at 020 3322 8143 to hire a service. Our professional domestic cleaners will measure up to their task in zero time. You can be sure that they would never leave a filthy spot or any kind of clutter. In order to achieve a flawless outcome, our staff is knowledgeable at using the newest machinery. They can easily apply the latest approaches that are eco-friendly and proven to work 100% of the time. That’s how we create a clean and safe home environment. 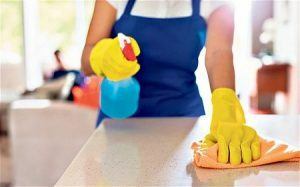 At Top London Domestic Cleaners, we try to meet all of your home cleaning demands. That’s why we aim to extend our service package. Contact us at 020 3322 8143 and tell us what you need. As far as domestic cleaning is concerned, we can handle every task. This includes your carpets, curtains, and windows. Our reliable team deals successfully with upholstery cleaning as well. Furthermore, you can depend on us for communal area cleaning and one-off spring cleaning. Other companies charge a lot for such services but with us, you can count on the most budget-friendly rates. West End of London is an area located in the heart of London. It represents a concentration of the metropolitan’s greatest entertainment spots. Any visitor has a wide choice of activities. In case you want to go sightseeing, check out the famous public squares in West End. These are Trafalgar Square, Berkeley Square, Russell Square and Soho Square. Don’t be afraid if they are situated far away from each other. Being a large area of London, West End provides perfect transport links. What’s more, here you can also go shopping or enrich your cultural life. There are many theatres, galleries, and museums in West End that are among the most notable in the world. Are you looking for high street brands? If you do, take a walk on Berwick Street and Kingly Court. These are London’s best boutique shopping streets, together with Oxford Street. Book our domestic cleaning in West End and take advantage of a professional service at an affordable price. Contact Top London Domestic Cleaners today by calling 020 3322 8143.